A master of noir crime fiction and the author of The Black Dahlia and L.A. Confidential, James Ellroy sits down to talk to critically acclaimed novelist Linwood Barclay about his spellbinding new WWII-set thriller, Perfidia, which captures the period as you’ve never seen it before. According to the Washington Post, Judith Perelman's mother, who taught first grade, pushed her to be a writer. "She used to say magazines were my favorite toys," she said. Judith attended City College of New York (now City University) but dropped out in 1954 to marry Robert Rossner, a teacher and mystery writer. She worked as a secretary in a real estate firm and wrote short stories, which she shopped to women's magazines. Her early books didn't sell well or make money, but received critical praise. Her career took off with the publication in 1975 of "Looking for Mr. Goodbar," a novel based on the real-life murder of a schoolteacher. Judith Rossner is currently considered a "single author." If one or more works are by a distinct, homonymous authors, go ahead and split the author. 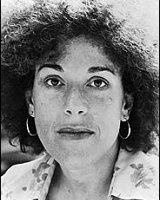 Judith Rossner is composed of 4 names. You can examine and separate out names.